When your child shows the signs of potty training readiness, it’s time to begin introducing them to the potty. 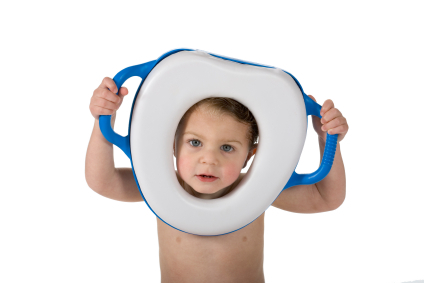 Most children are ready to begin potty training between the ages of 18 and 24 months but every child is different and will begin on their own. Below you fill find some helpful potty training resources. Free Potty Sticker Charts – Sticker charts can help motivate toddlers to use the potty. Colorful sticker charts are free! Print them out from your computer. Potty Training Tips – Tips on helping the child that won’t go. Quick Potty Training Readiness Checklist – A simple checklist that gives you a snapshot view of your child’s potty training readiness. Looking for more resources? Below are some great articles published by mom bloggers that might help with your potty training journey! Twice The Mess, Potty Training Twins With Love – The Reality of Potty Training Twins. Potty Training 101: Is Your Prince or Princess Ready For The Throne? – Find out if your little one is ready to be potty trained. Potty Training Made a Little Easier -Different ideas you might want to try to make potty training easier. Tips To Potty Training A Toddler – A list of tricks that you can use to help train your toddler. Nighttime Potty Training – A post about potty training during the night.